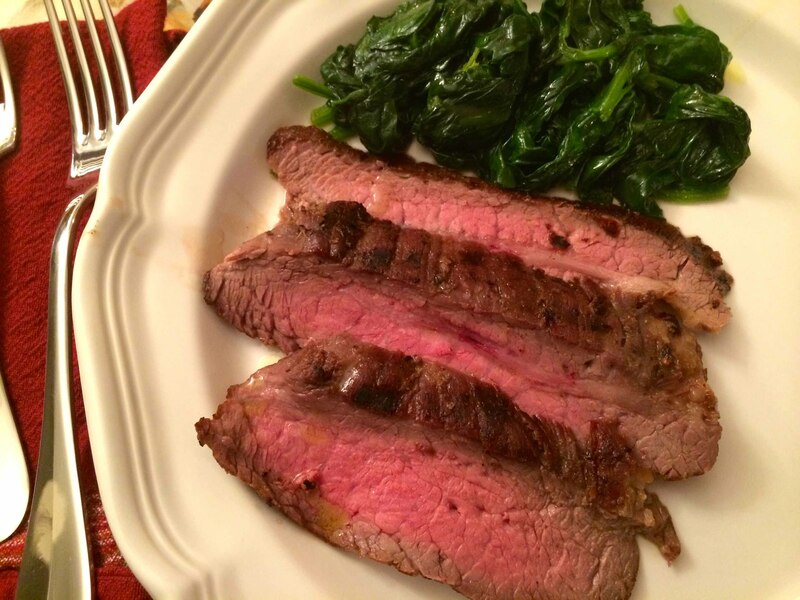 When we watched Mario Batali transform a simple flank steak to mouthwatering juiciness on his TV show “The Chew,” I had to make it. The steak is seasoned first with salt and pepper and then rubbed with a paste of dried-porcini powder, garlic, red-pepper flakes, and olive oil. It’s then placed in a re-sealable plastic bag and refrigerated for at least an hour or even better over night. I let the steak marinate for about 12 hours, taking it our of the refrigerator an hour or so before cooking to let it come to room temperature. Because it was too cold for grilling outdoors, I opted for a two-burner pre-heated grill pan. 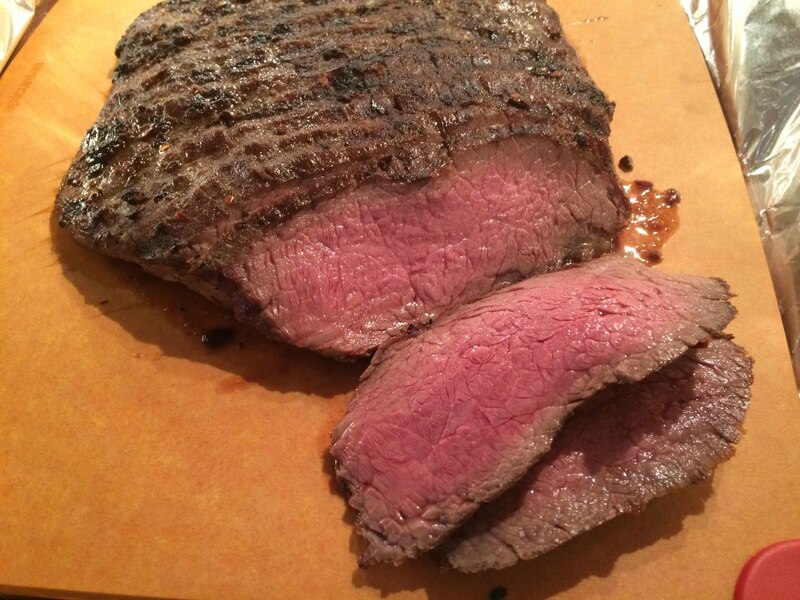 Batali, who used a gas grill on the show, recommended cooking the steak with the grill lid closed for this particular cut of meat. To replicate this, I tented the steak with heavy-duty foil as it cooked for about 6 minutes per side on medium high. To retain the meat’s juices, I let the steak rest for the recommended fifteen minutes before slicing it. This had to be one of the juiciest and most flavorful flank steaks, I’ve ever had. The earthiness from the porcini powder was complemented by the spice from the red-chili flakes. Batali used the steak as part of a sandwich that was sauced with a Parmesan fondue. As luscious as it looked, we decided to forego the sauce and the bread and chose to serve the steak accompanied with spinach sautéed with olive oil and garlic. Here’s a link to the recipe. Grilled Steak and Fondue Sandwich. You may also want to adjust the recipe’s amount of red-pepper flakes depending on the type you have on hand. Finally, rather than smashing the garlic cloves to a paste, I grated ten with a rasp.